Reckless behaviour, heated exchanges and fast cars: is this a formula worthy of poll position? Based on a true story, Rush tracks the journey of two ambitious racing drivers who start their careers in low division racing before their rise to Formula 1. Throughout the seasons they develop a deep-rooted rivalry that undermines their goals and endangers their lives on the track. Daniel Brühl and Chris Hemsworth play the two opposing racing drivers, Niki Lauda and James Hunt, and it is the interesting dynamic between them that creates the majority of the drama and entertainment. Brühl is fantastic as Lauda, playing him with a dislikeable charisma which warms throughout the film. Lauda is shown as a committed professional who doesn’t get side-tracked by emotion and is only involved in the sport because it makes good business sense. 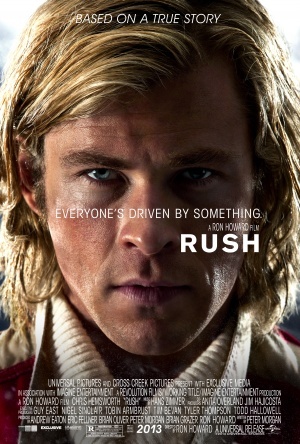 On the other hand, Chris Hemsworth plays the reckless but defiant British driver, Hunt. Hemsworth gives a solid performance as the happy go lucky womanizer but really Brühl steals the show with his internalised and controlled performance. Ron Howard’s direction provides his usual sublime detail, combining his experience in both Frost/Nixon and Angels & Demons he delivers both heart thumping races and intimate dialogues. Dialogues between the two competitors are filmed in a very claustrophobic fashion with the camera inching closer throughout conversations with characters largely standing still and composed to create a sense of unease and heightened tension. The addition of slow motion raindrops, continual close-up’s of racing objects, faces and hands and even car cylinders firing up during races combine to create one of the most beautiful films of the year, which is certainly a surprising feat for a sports drama. 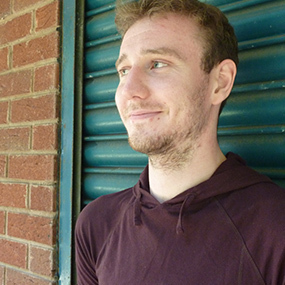 These close ups help bring the audience into the characters world and are a superbly effective way of heightening tension between their rivalry, and the dangers formula one brings when racing. Rush is a fantastic story, and even though it’s highly dramatized, it plays a great tribute to the real life drivers and era of 1970’s car racing. One to watch, this is easily one of the best action dramas of the year.